Coastal Home Inspectors is the greatest source of qualified Home Inspection. Coastal Home Inspectors provide you Home Inspection in Lee County. Here at Coastal Home Inspectors, we offer commercial and residential building inspections as well as House watch programs whereas you are away. We are moreover licensed to perform Wind Mitigation, Four Point Inspection and Roof Certifications for your insurance requests; or Environmental testing including Mold assessment and remediation. Coastal Home Inspectors proudly performs Home Inspections in Lee County; FL. Commercial building inspections are done in stated detail along with all necessary insurance inspections required on definite buildings. Coastal Home Inspectors is fanatical to providing detailed services in Home Inspection include same day turn around on our comprehensive reports. 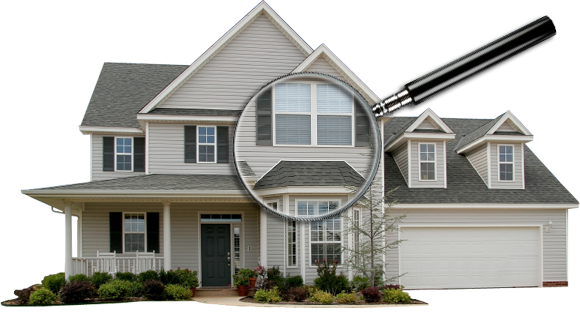 Who is better to watch your home than a state licensed home inspector with Experience? Coastal Home Inspectors personally visit every home. Coastal Home Inspectors is fully licensed. When you trust us to conduct your Home Inspection, we promise to be on time, honest, diligent and transparent in our findings and provide thorough reports to you within a day of your inspection. You are our customer always after inspection and are welcome to our knowledge and reliability in service. Whether you are buying, selling or the representing agent on the sale of a home, you can depend on Coastal Home Inspectors for reliable on time service, commitment to detail when inspecting your house and a fully comprehensive report at hand. Understanding your home's components and systems is essential when deciding on a purchase, making a repair, or doing preventative maintenance. Once the inspection has been completed, we will provide you with a comprehensive report within 24 hours. This report will include a summary letter, photos of defects and system components, and a complete narrative of the inspection. Our mission at Coastal Home Inspectors to give out and defend the life, safety, health, and generally benefit the society in the unincorporated district of Lee County, throughout enforcement of House Codes and regulations adopted by the Lee County, in a professional, accurate, prompt, and courteous manner. if you are planning to make a change to your property such as renovation, remodeling, addition, new construction, electrical, plumbing or heating and air conditioning improvements or replacements, you should contact Coastal Home Inspectors for required guidelines. The staff at Coastal Home Inspectors can assist you in meeting the required guidelines for your project. If you are unsure if a permit is required for your planned project, call Coastal Home Inspectors to speak with someone regarding your project. This simple inquiry may prevent costly and time-consuming mistakes and help ensure a successful project.